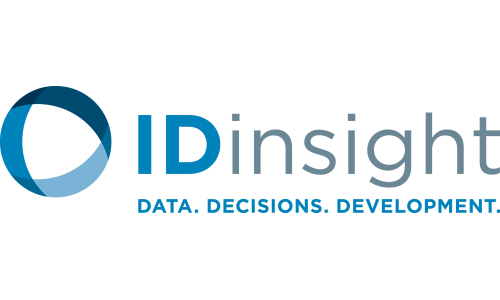 IDinsight’s mission is to use data and evidence to help leaders combat poverty worldwide. IDinsight designs, deploys and promotes evidence-generating tools that help people improve lives worldwide. They work with governments, non-governmental organisations, foundations, and social businesses across many sectors throughout Africa and Asia. ID insight aims to improve millions of lives by transforming the ways in which the social sector innovates, learns, and improves. The team are driven by a set of common values which direct their actions: Impact, Ownership, Systems Perspective, Honesty, Service, Community of Leaders, Humility, Professionalism. These values are a statement of each individual’s commitment to their teammates, clients, and partners. Since their launch in 2012 IDinsight has advanced the idea of decision-focused evaluations, which are rigorous impact evaluations designed to answer their clients’ highest priority questions within the real-world constraints and timelines that they face. To date, they have conducted over 50 impact evaluations across 13 countries. 2018 was an exciting year of impact, innovation, and growth at IDinsight. The team launched new embedded learning partnerships with governments across Asia and Africa and strengthened existing ones with the Governments of Ghana, India, Malawi, and Zambia. In addition to conducting rigorous “decision-focused” impact evaluations for leaders, ID insight launched innovative data and evidence tools to help their partner organisations solve some of the world’s most pressing challenges, and also expanded into new geographies. The team are growing fast and IDinsight have expanded their global presence, opening four new offices in Bangalore, Dakar, Johannesburg, and Washington, DC, and placed new embedded teams in Lilongwe and Accra in 2018. For more details on this IDinsight role, positions in Zambia and any Movemeback opportunity across Africa, apply today to become a member.